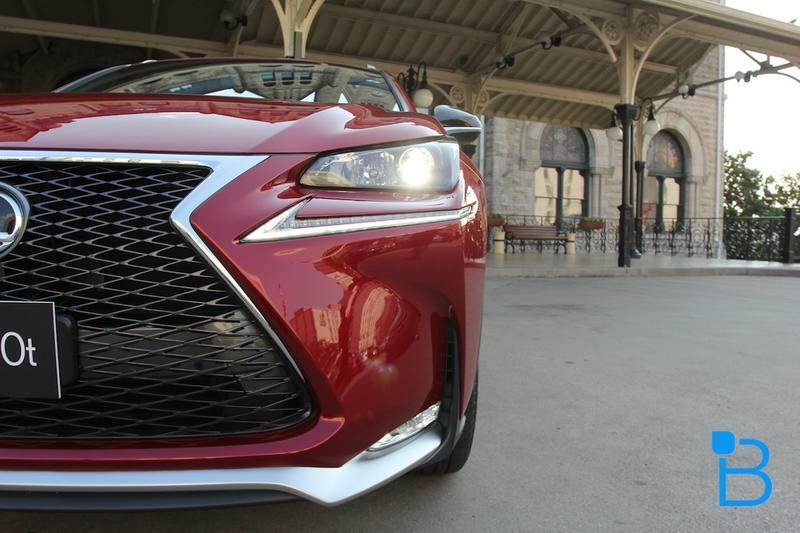 Lexus hopes to entice a younger buyer with its new line-up of cars. 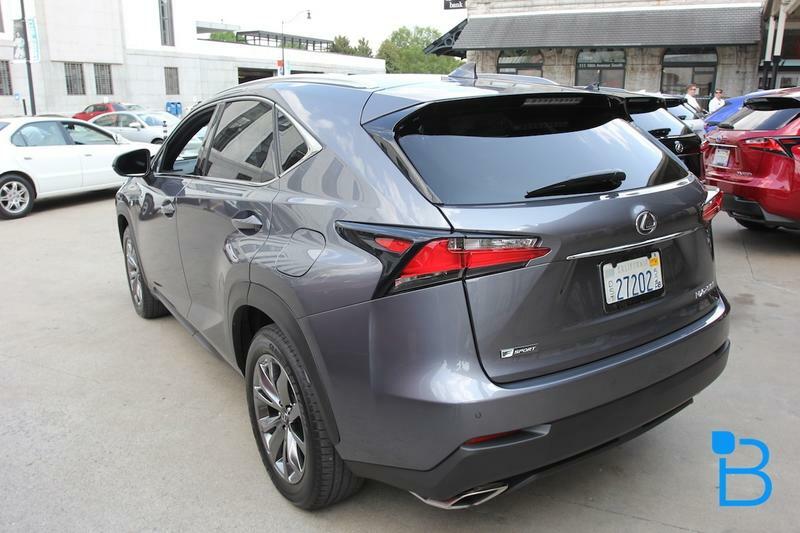 It has started more or less with the redesigned IS, which has always appealed to younger buyers/drivers, but we now get a chance to see this design emphasis across other vehicles, particularly the NX and RC. 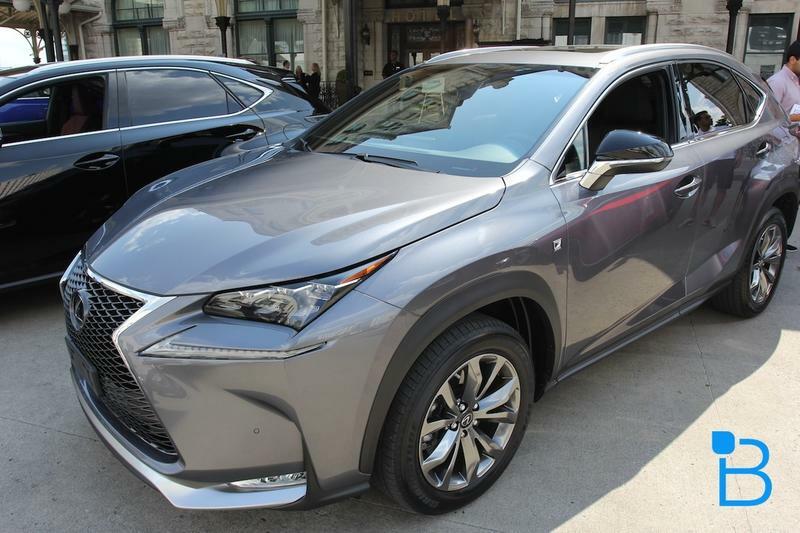 The NX is Lexus' entry into the small SUV market. 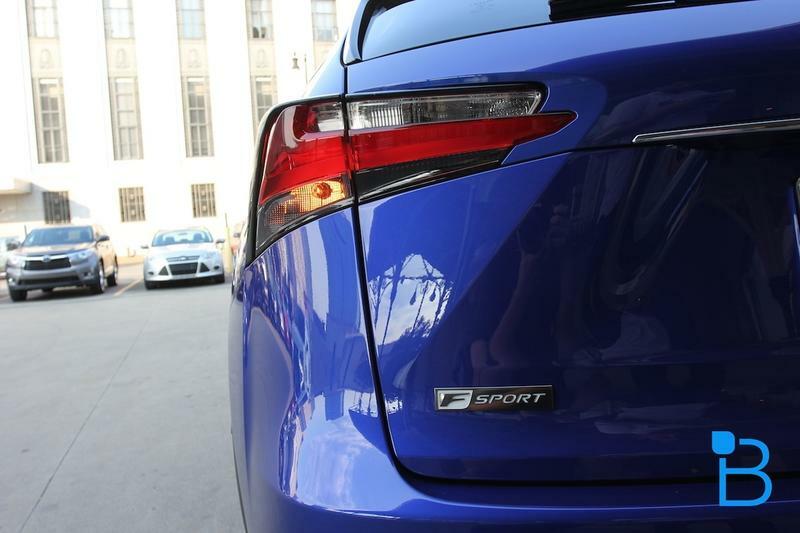 And boy is it a great car for this segment. 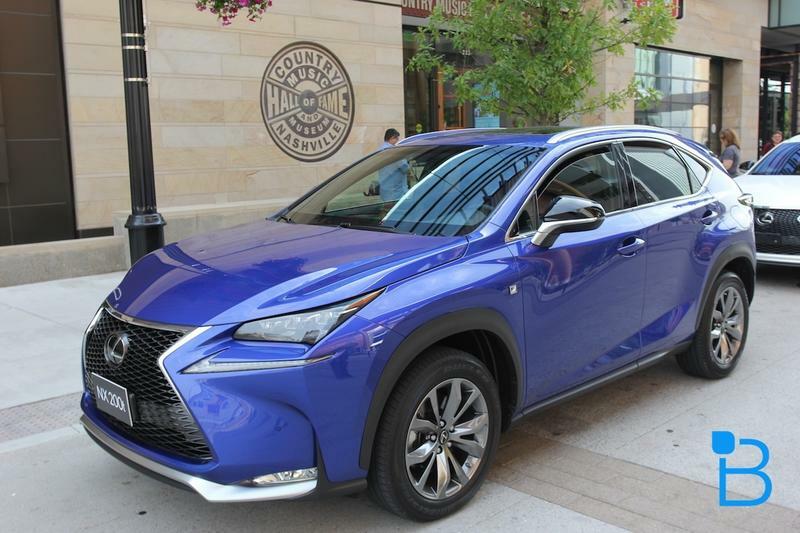 While Lexus already has the RX, GX, and LX line of SUVs, it was missing a comparable competitor to the cars like the Audi Q3, BMW X3. 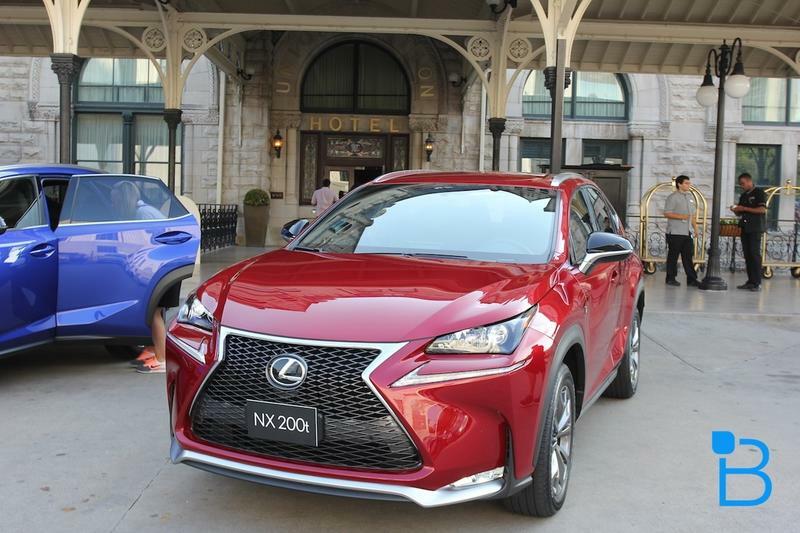 The NX offers two variants, the NX 300h hybrid and NX 200t (also available is the NX 200t F SPORT trim). 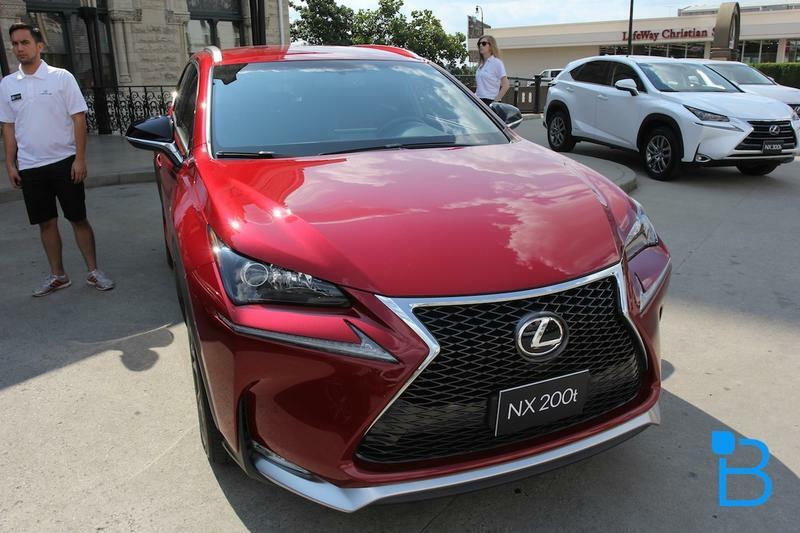 I had the pleasure to drive around the Lexus NX 200t F Sport and the Lexus NX 300h for a few hours around Nashville, TN to see what this new vehicle was all about. 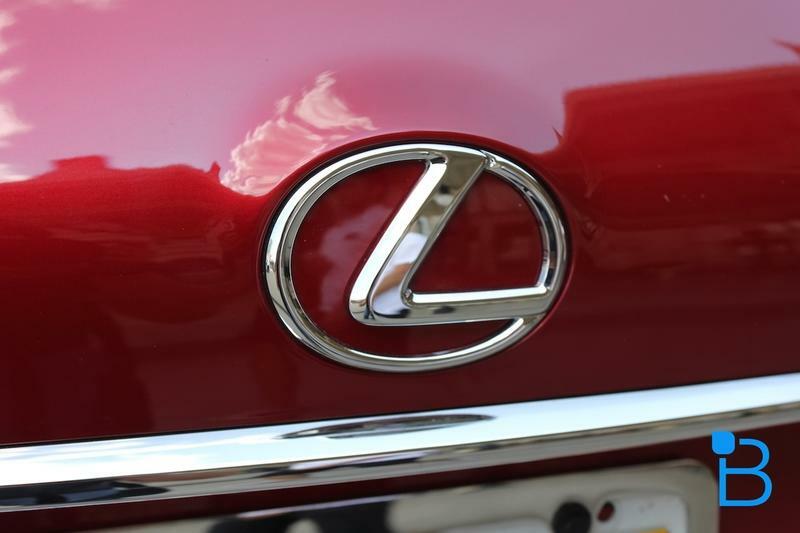 Does the new NX exemplify the Lexus badge? Let's find out. 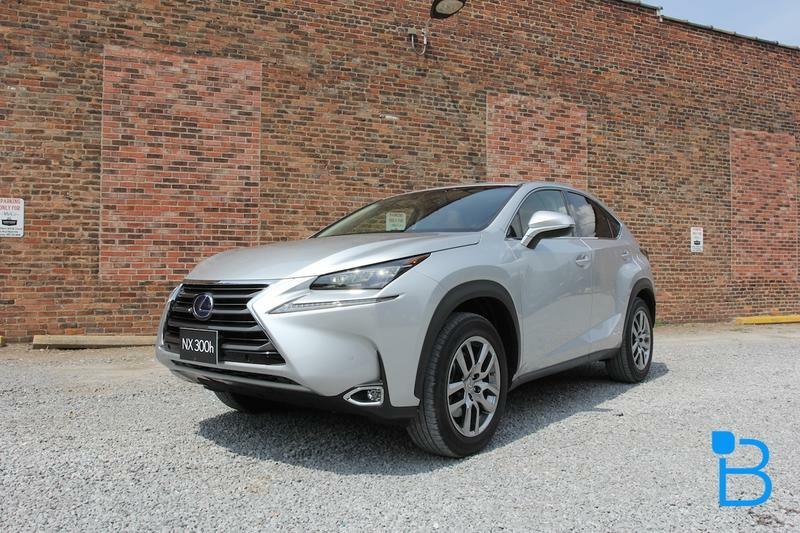 The NX is a looker, it has the sleek lines you'd expect from a luxury car targeted towards younger buyers. 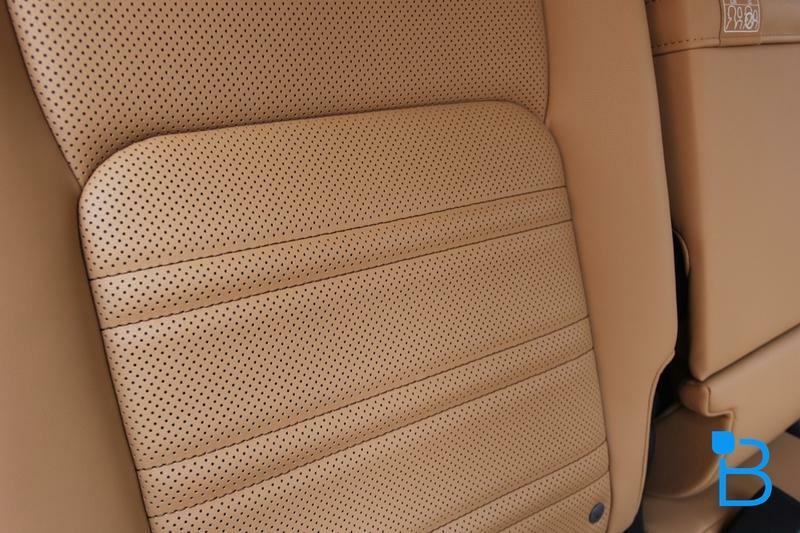 All around you can see the balance of ruggedness of an SUV and the elegance of a luxury vehicle. 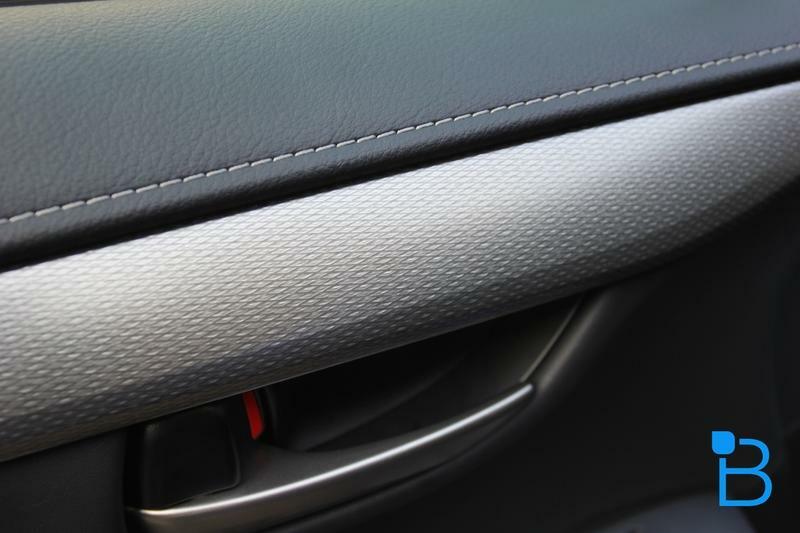 Throughout you can see the finer touches that implants Lexus's design thumbprint. 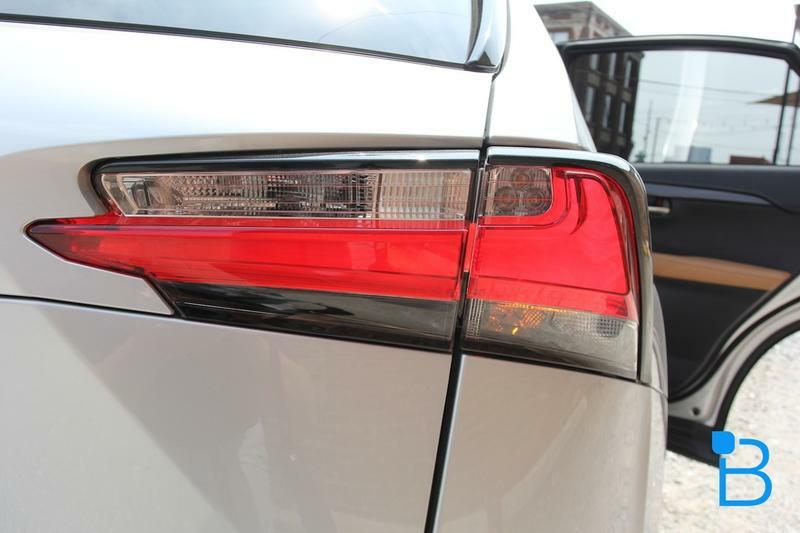 Like the L-shaped LED fog-lights underneath the headlights or the brake light that extends across the back of the car, even across the gap between the side (turn signals/brakelights) and rear hatch. 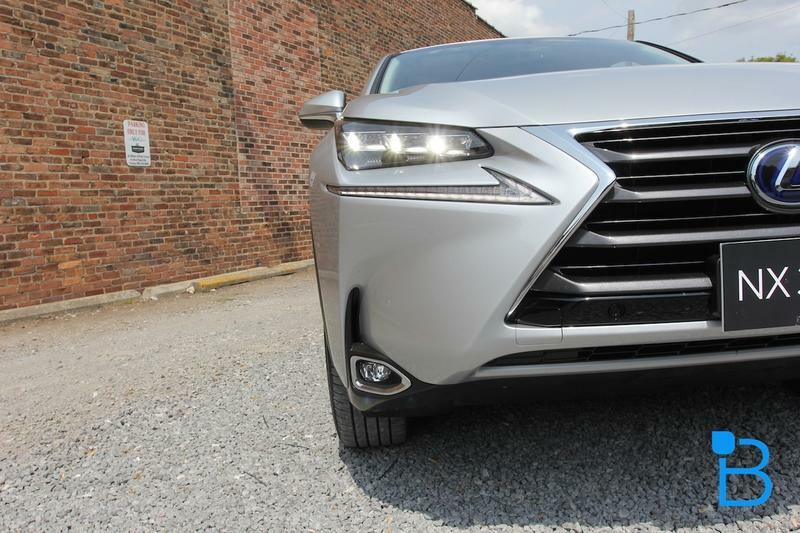 It's hard not to think of this car as a smaller version of the Lexus RX, but Lexus really equates the car to more of a larger sibling to the IS. 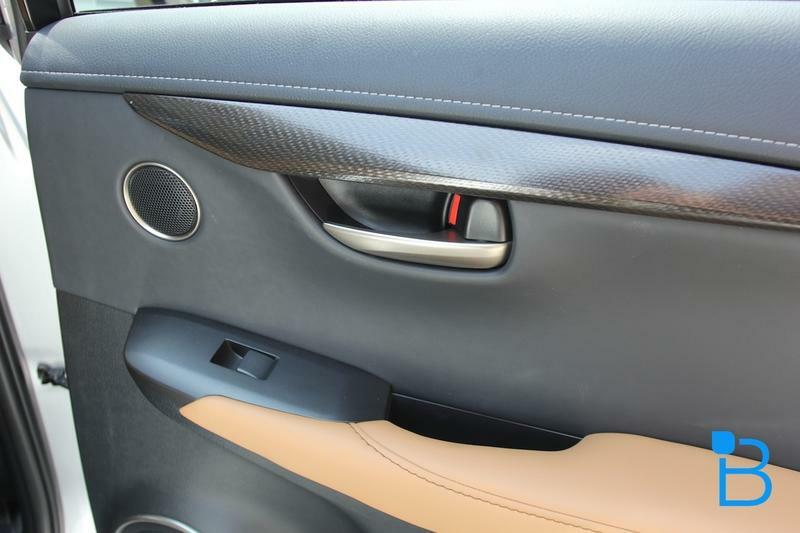 The IS too received an overhaul recently with much fanfare and really kicked-off a new set of design features across the Lexus brand. 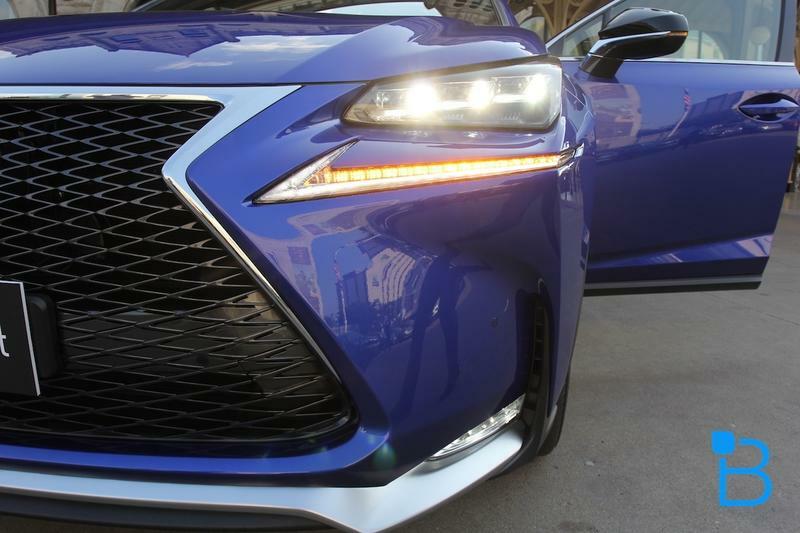 Lexus is really trying to make its designs more appealing to a younger buyer and it really shows and the designs are no longer your parent's Lexus anymore, it is exciting. 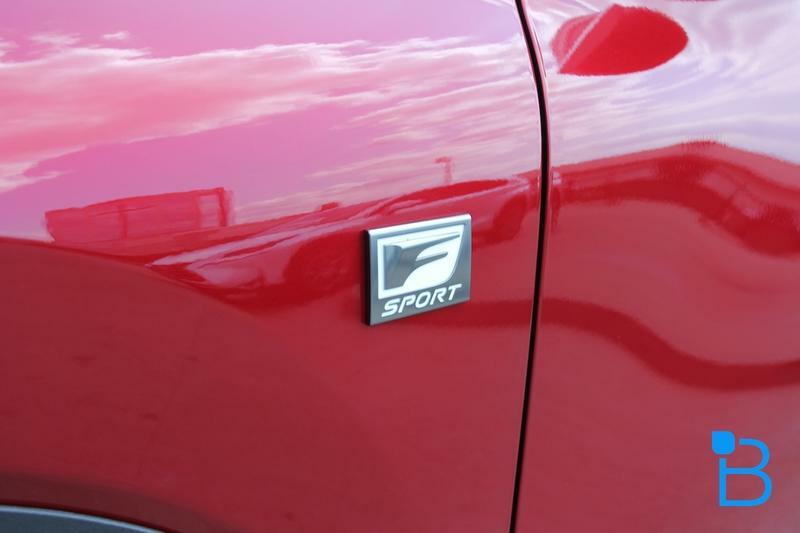 The auto industry likes to throw around the terms bold, exciting and whatever other adjectives that hopefully help sell cars. 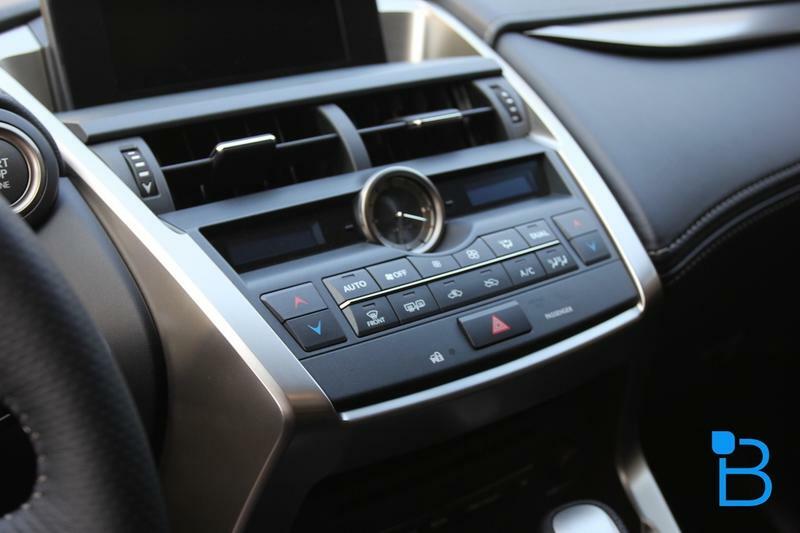 Though in the case of recognizable brand like Lexus it is hard to deviate significantly and risk alienating your core fans. 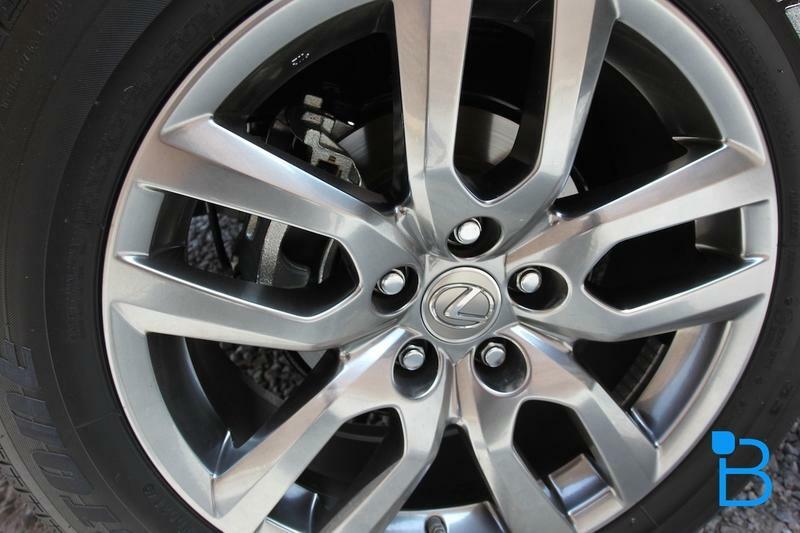 Lexus took a lot of consideration into the design and making sure even with new designs it still speaks as a "Lexus" car. 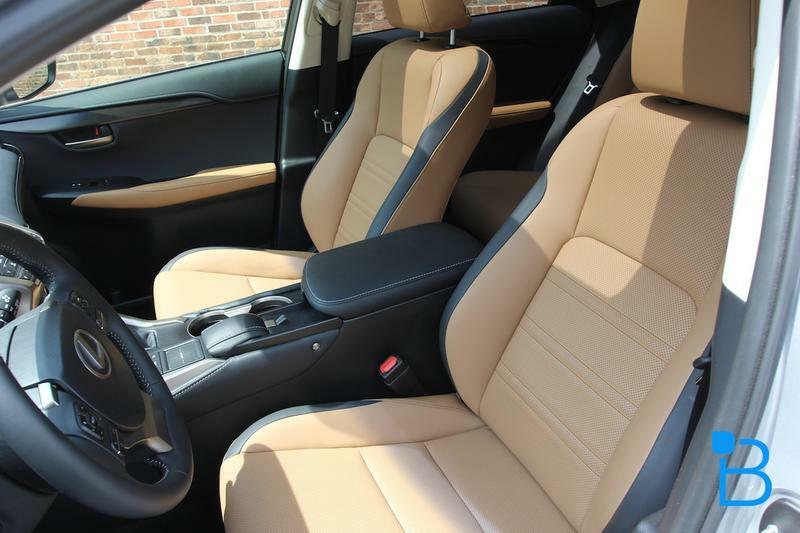 I could continue to try and describe the features myself, but I would not be able to do it justice, take a look for yourself in the gallery below. 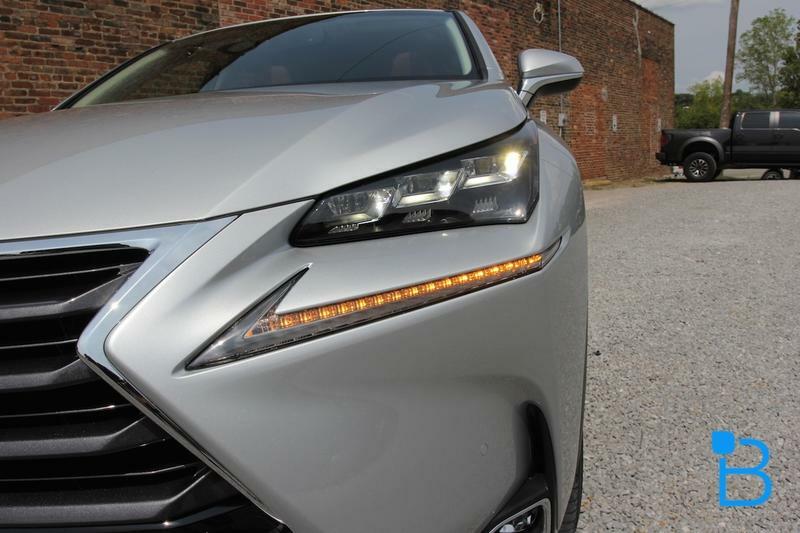 The NX comes with either standard or premium headlamps; the standard set shows of the classic circular high beams whereas the premium headlamps have the more defined rectangular headlamps along with more LED lamps in the turn signals and daytime running lamps. 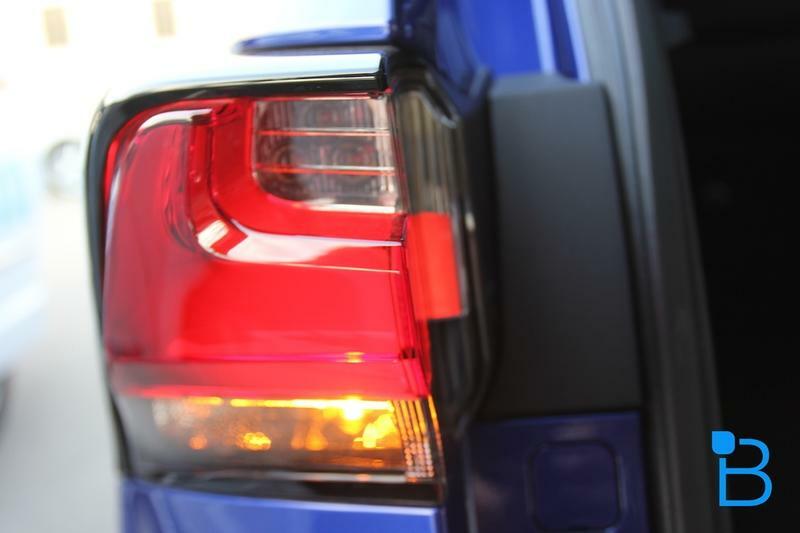 I think it goes without saying the premium lights standout more than the standard set. 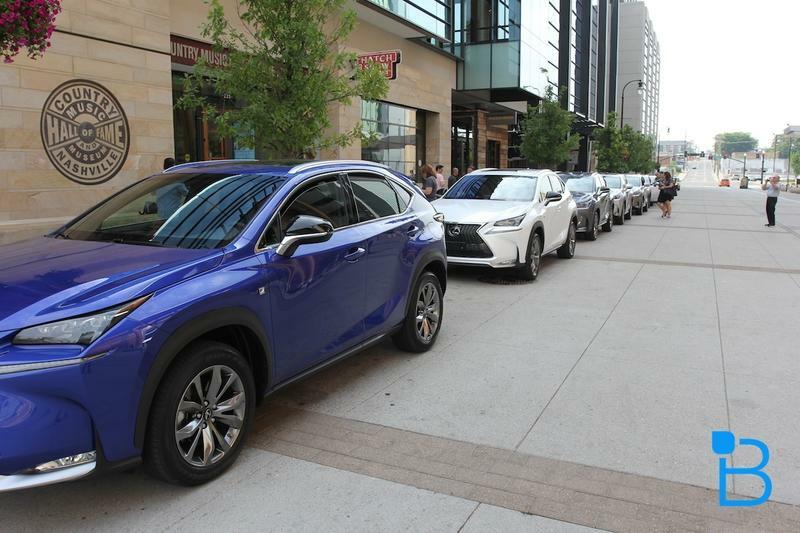 While Lexus calls the NX a compact SUV it ended up being quite spacious and roomy, while still feeling quite easy to navigate around the city. 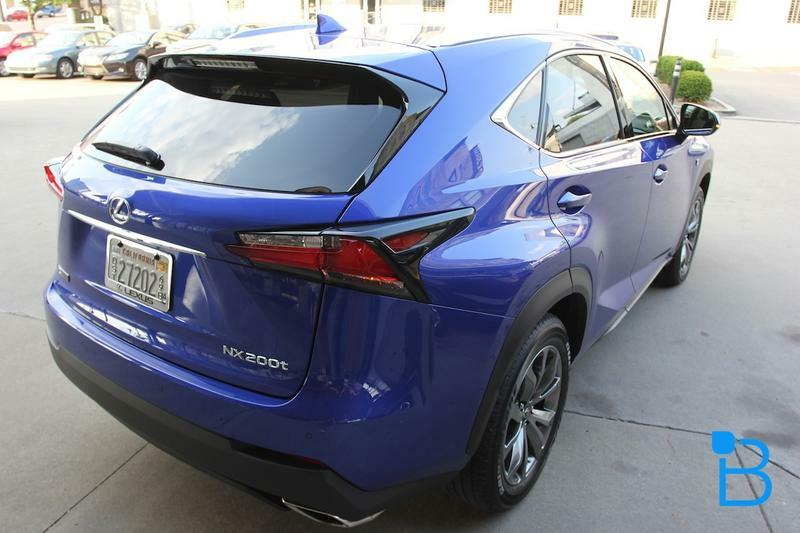 To give you an idea of where NX fits in, it measures in at 182.3 inches (4,630 mm) long, 83.9 inches (2130 mm) wide, 64.8 inches (1,645 mm) tall and a wheelbase of 104.7 inches (2,660mm). 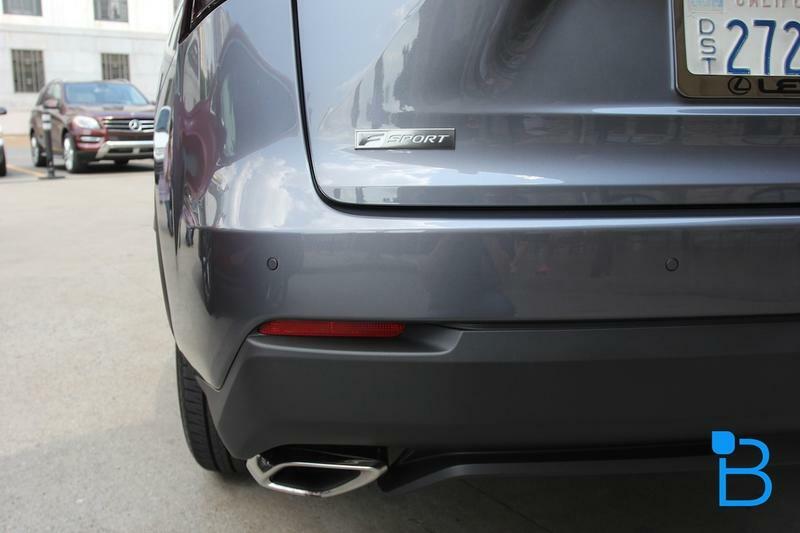 For comparison sake the BMW X3 is 183.4 inches long, 74.1 inches wide, 66.1 inches tall, and a wheelbase of 110.6 inches; the Audi Q3 measures 172.6 inches long, 79.4 inches wide, 62.5 inches tall, and wheelbase of 102.4 inches. 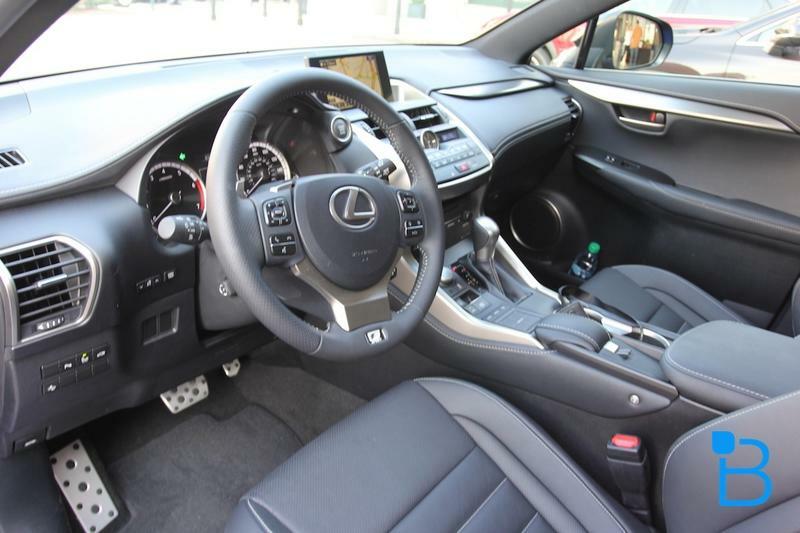 The inside of the NX is certainly what you'd expect from Lexus. 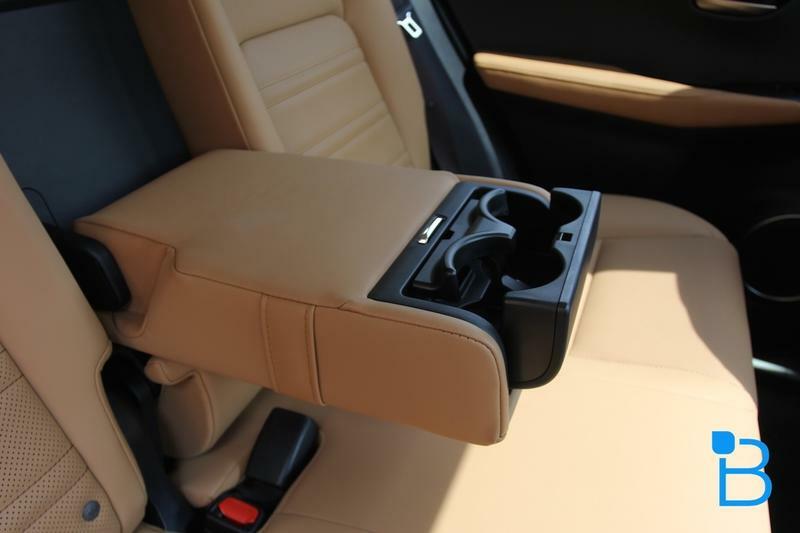 It offers premium materials, a clean design and very little clutter on the dash/console. 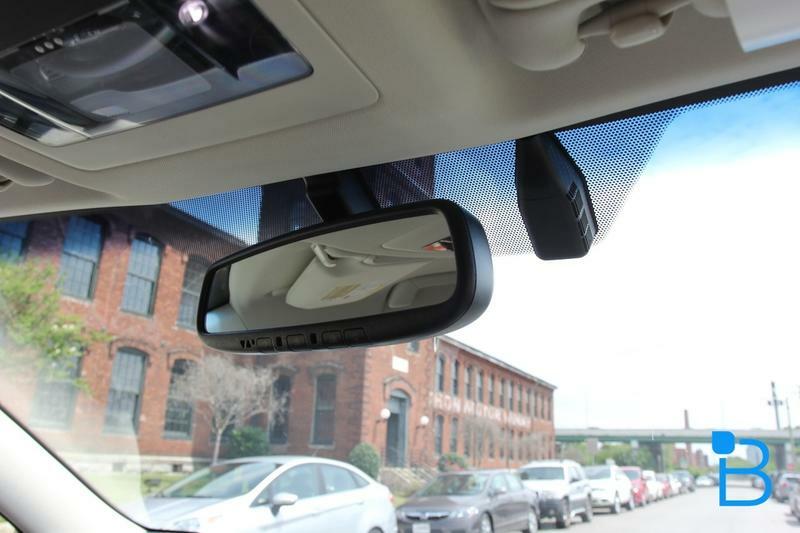 The latter part we will cover in detail when we get to the technology of the car. 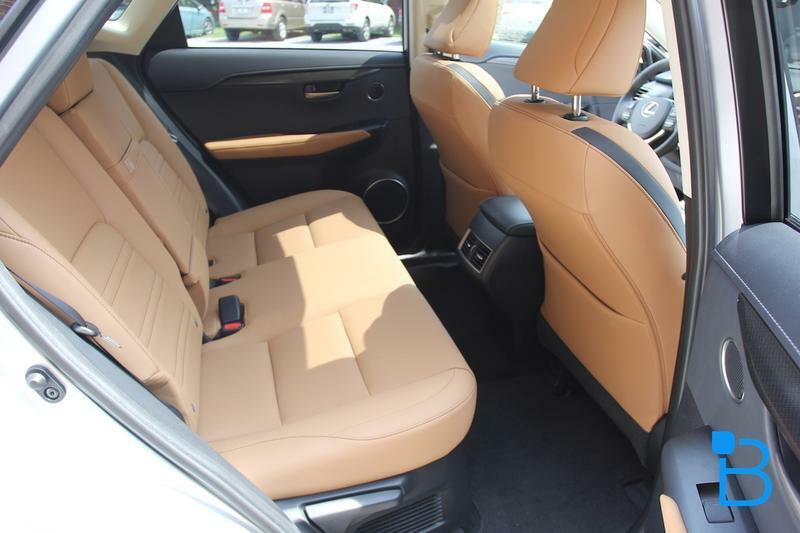 One huge noticeable attribute about the NX is just how much leg room is available. 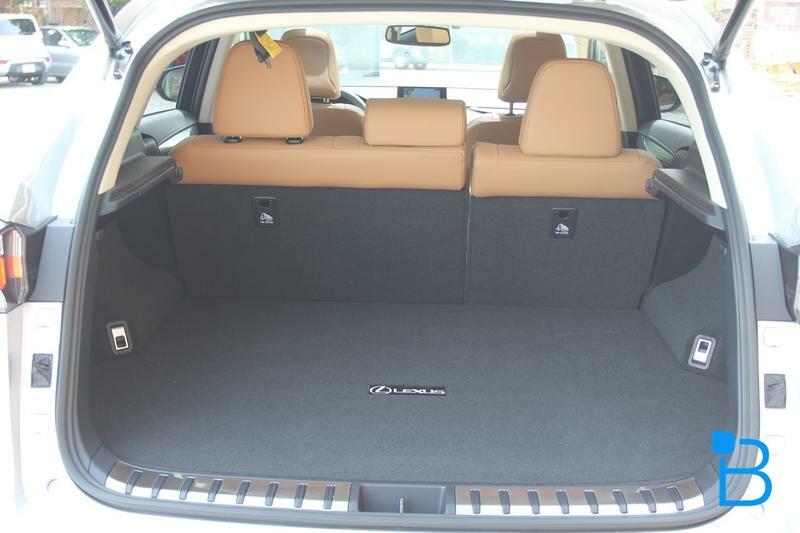 While the NX acts like a bigger version of the IS, I felt the NX has plenty of leg room. 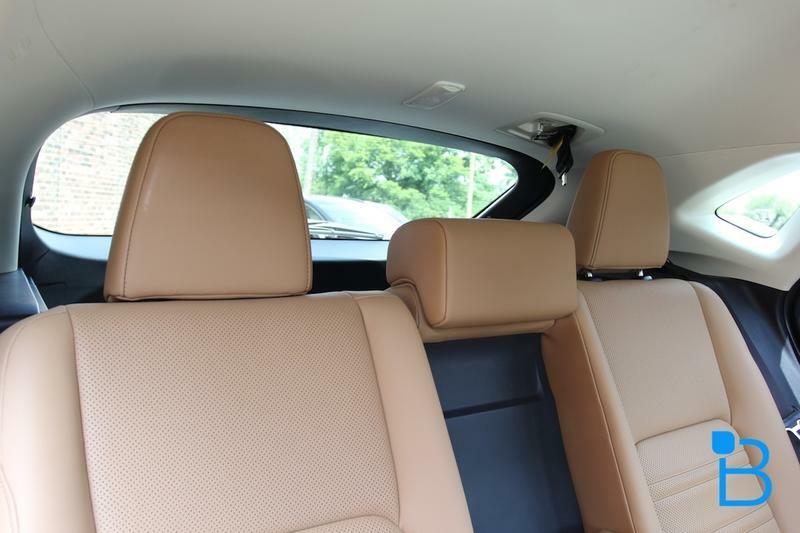 In fact during one portion of the ride I had 6'6" gentleman sitting in the front passenger seat in front of me and I had plenty of leg room. 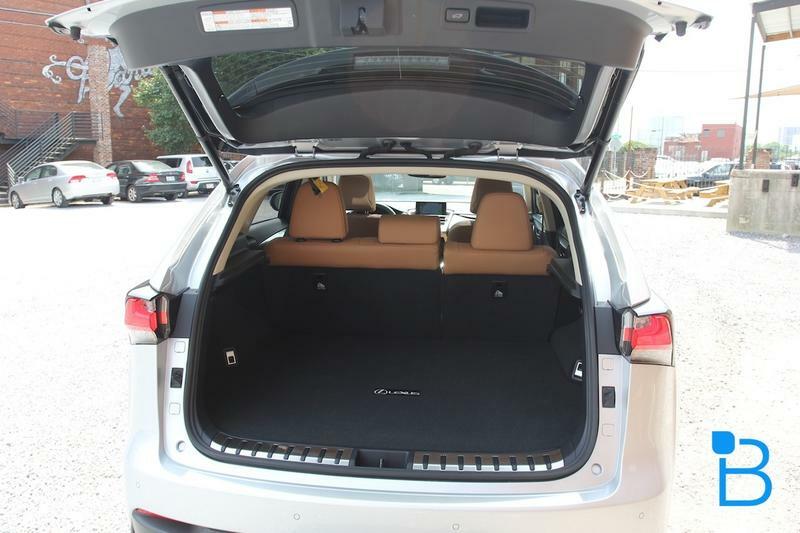 Something that isn't always found in most compact SUVs. 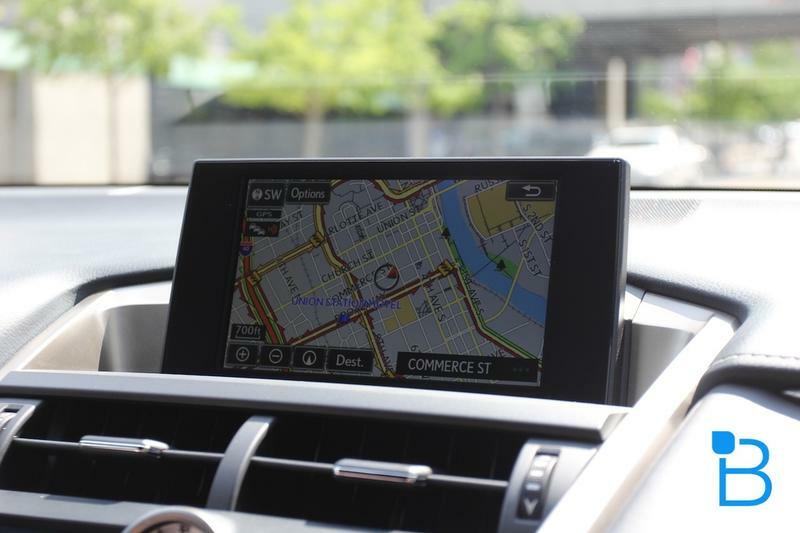 The NX has a lot of cool new high tech offerings, including its UX center display, navigation system and even an optional wireless charging pad (Qi compatible) for your mobile devices. 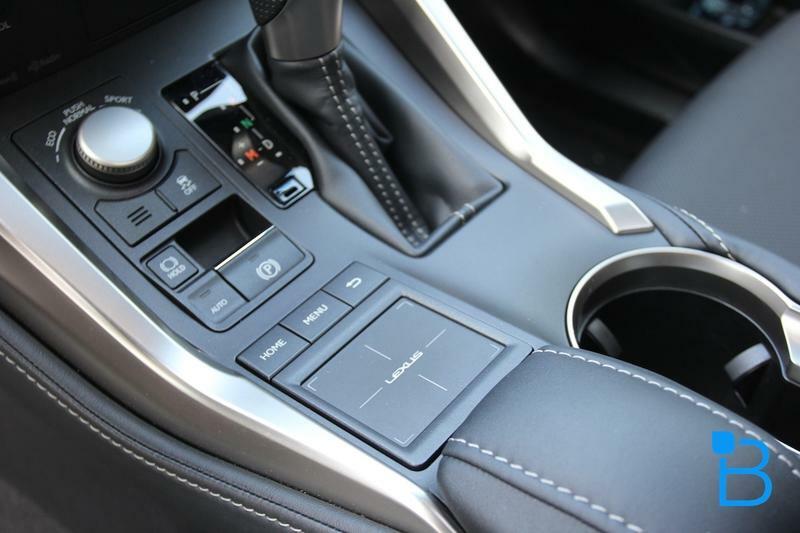 The center console is not cluttered but there are plenty of buttons to help you get to the desired action with minimal clicking. 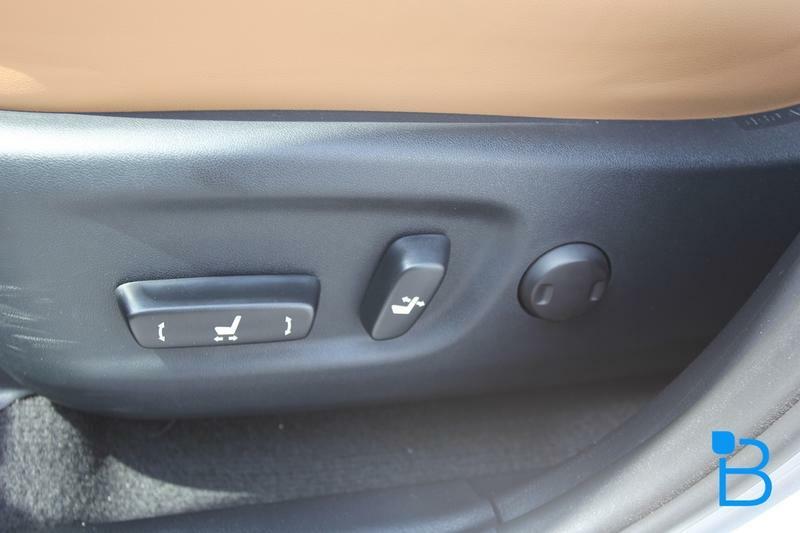 Fewer button presses to get you to turn on your favorite tunes or adjusting the AC is a plus in my book. 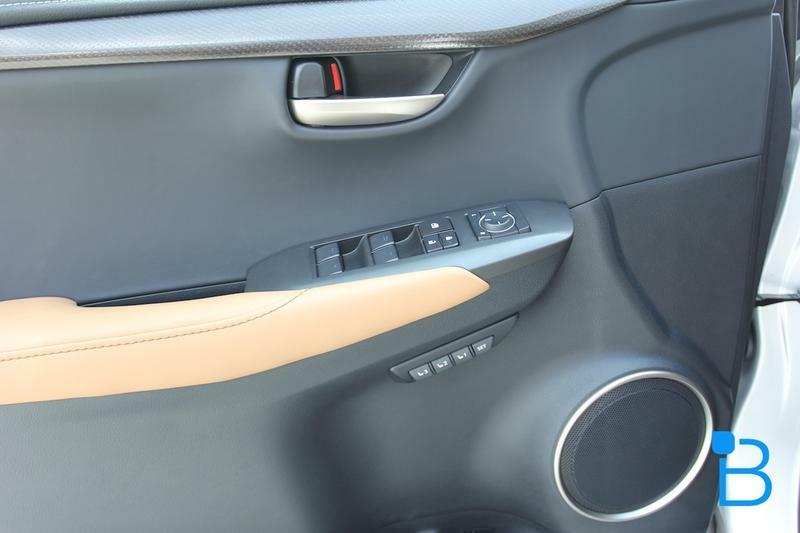 And thanks to the conveniently placed track-pad located on the driver's right hand side you don't have to stretch your arms to reach the display console or turn a knob to cycle through menu options. After using the trackpad system for a few hours, it now ranks as one of my favorite input method, partly because of the placement, it sits nicely under my hand, it just feels like the most natural placement. 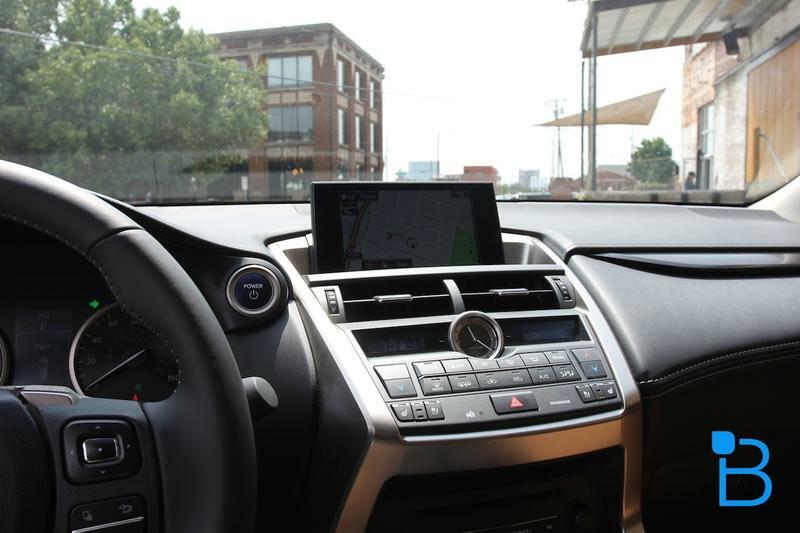 The alternative is tapping the navigation/console dash and that usually means stretching forward which becomes another distraction while I should be focused on driving. While we weren't able to play with the UX system fully, this was a pre-production vehicle, I found it to be sleek and thought it was really well thought out for the driver. 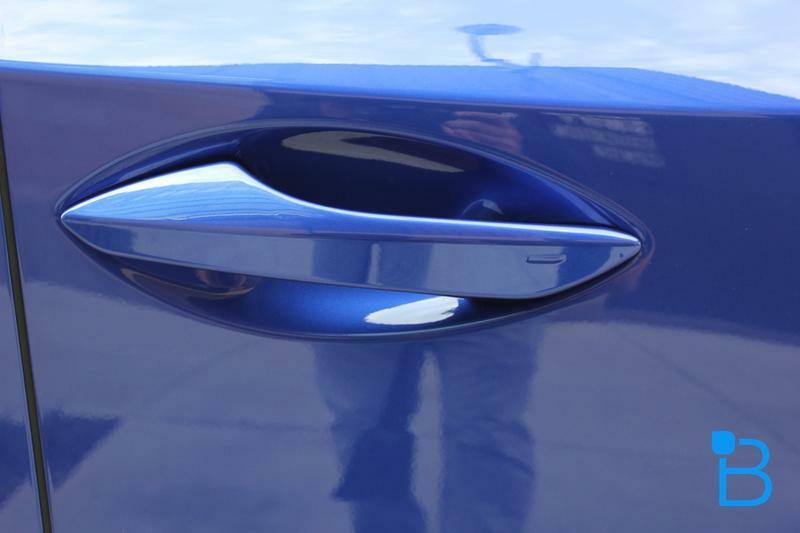 And while the Lexus Enform system was not ready for us to play with during the test drive I can say that it will work much like GM's OnStar system. It will have its own dedicated data connection. 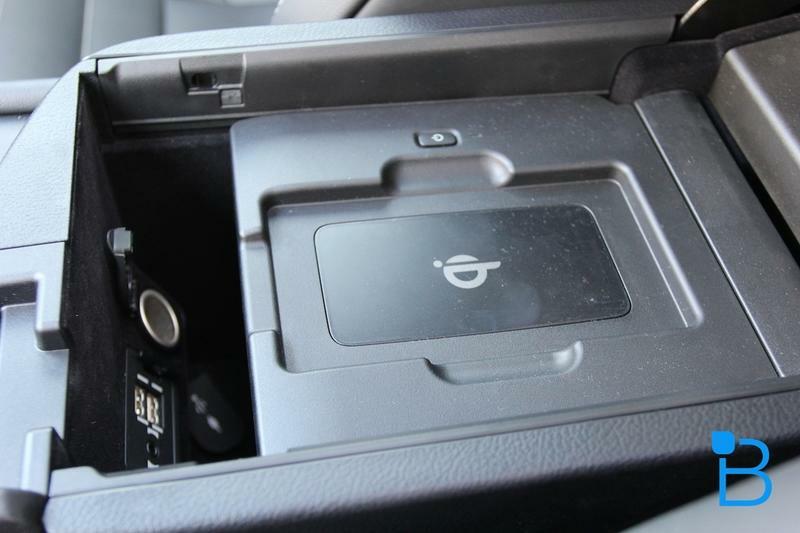 Which means you can remotely start your car, check car stats on your smartphone, etc. 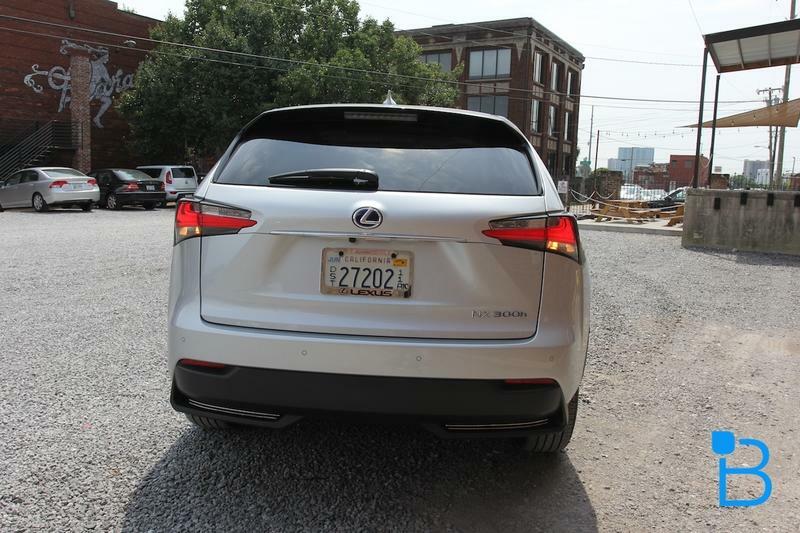 Lexus likes to boast about its latest construction methods found in newer Lexus vehicles (2013, GS, ES, LS and 2014 IS) making for a sturdier body, better handling and making the car more responsive. 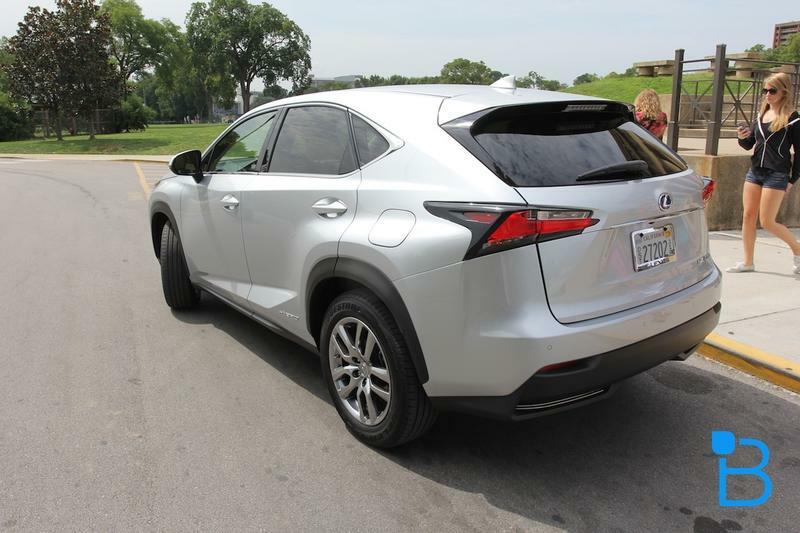 You often find out that "responsive," "sporty" in turn means a bumpier ride, though that is far from how the NX rides. 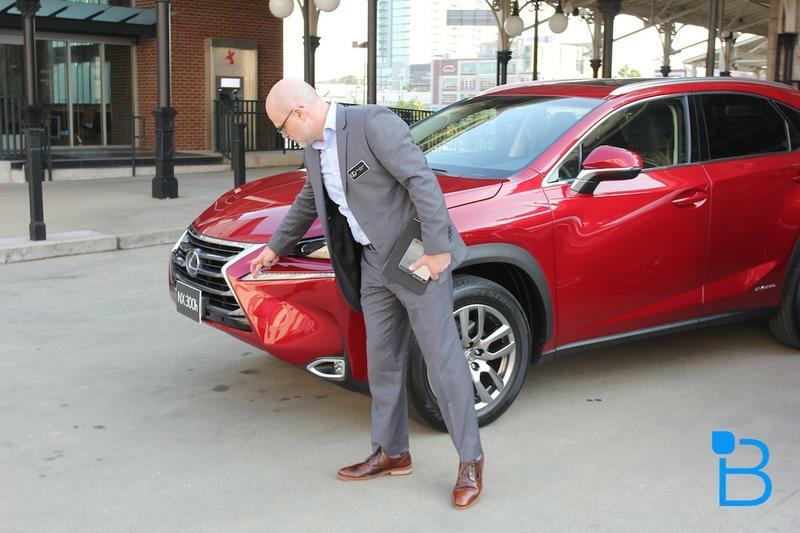 The NX by design looks and feels sporty but puts out a luxurious ride. 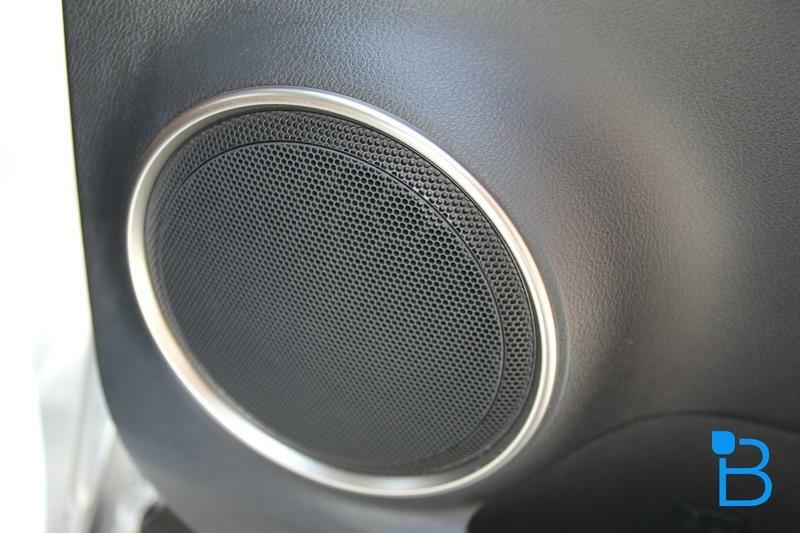 Sound and shock dampening additionally helps with that but overall, drivers should be content with its peppy yet smooth, comfortable drive. 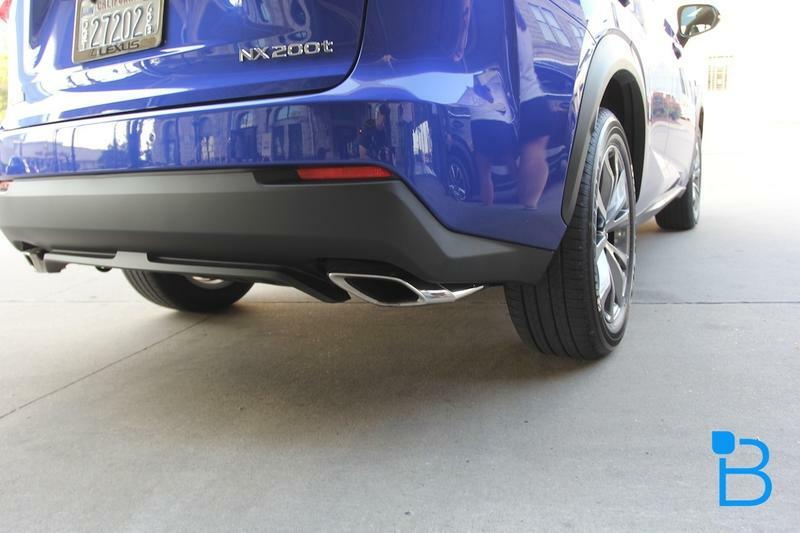 The NX 300h deserves a bit more attention than a simple mention here. 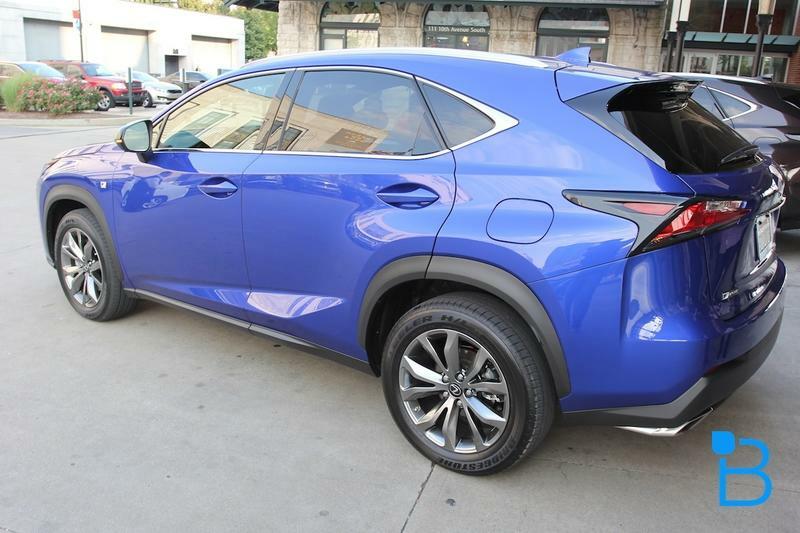 While surely it is a hybrid variation of the NX, it certainly can boast, proudly, that it doesn't feel too much like a hybrid vehicle. 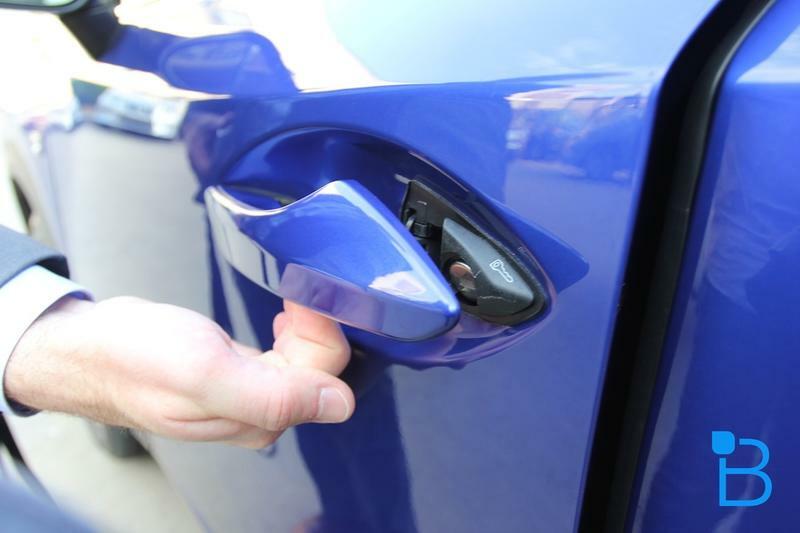 That's not a knock on hybrids, but hybrids generally are built and bought for the purpose of fuel economy sake. 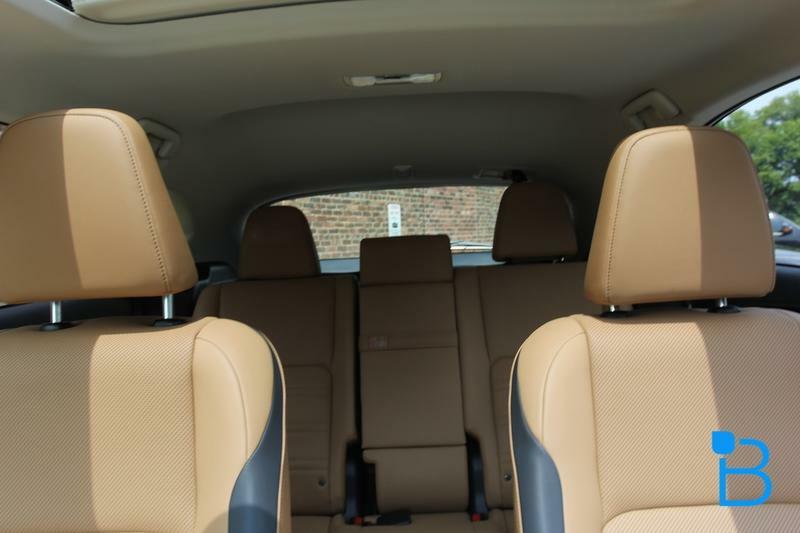 I suppose one of the more predominant complaints about hybrid vehicles is the lack of power or the pick-up one may experience in traditional gas-powered vehicles. Traversing around Nashville, I found it to have nearly equal performance to that of the NX 200t. With hybrid engines, I usually expect some delay in acceleration though I found the 300h to have enough pick-up to speed up on to high speed ramps. 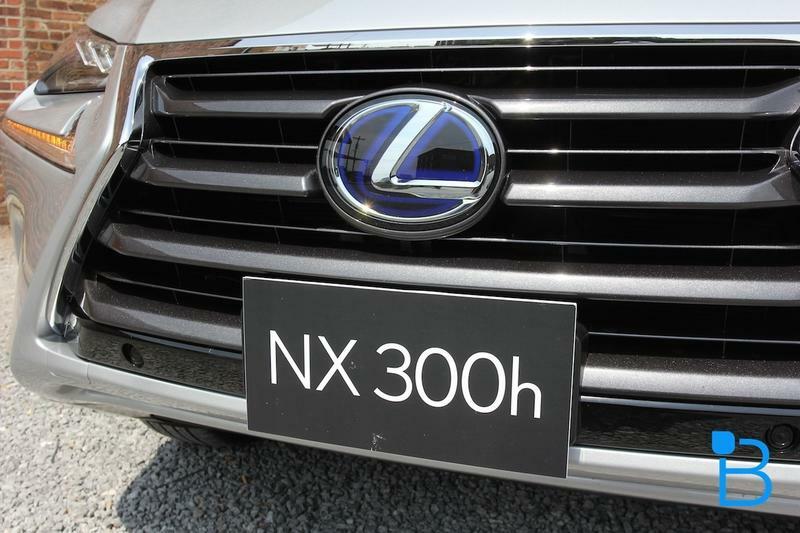 The NX 300h gives you the feel of an SUV without all the guilt of a heavy gas guzzling one. 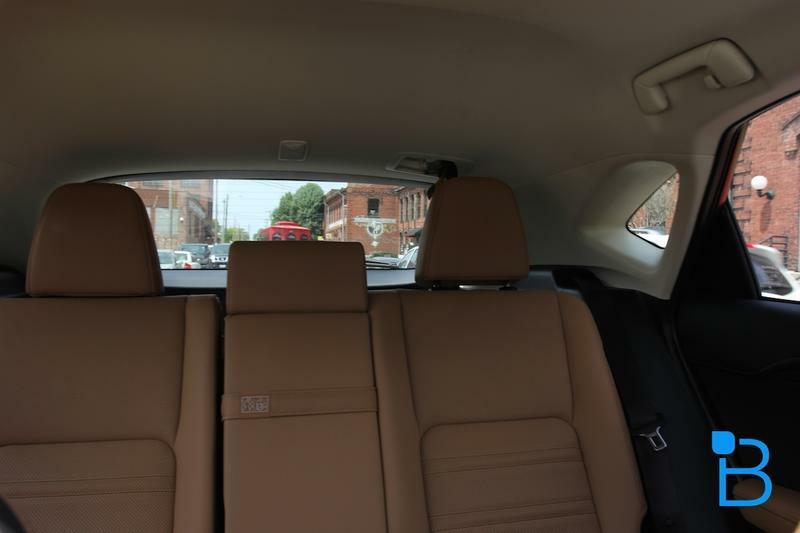 The hybrid engine is one of the better hybrid experiences I've driven in. 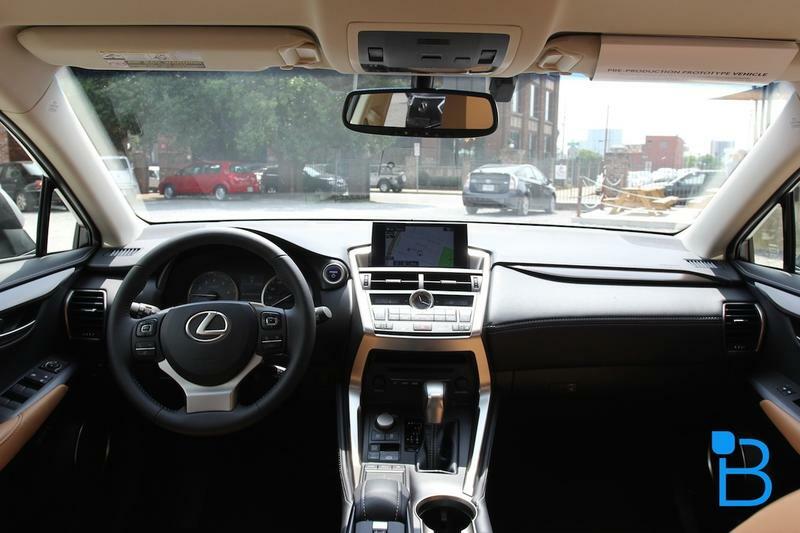 You have 3 drive options on the NX 300h, eco, normal and sport. 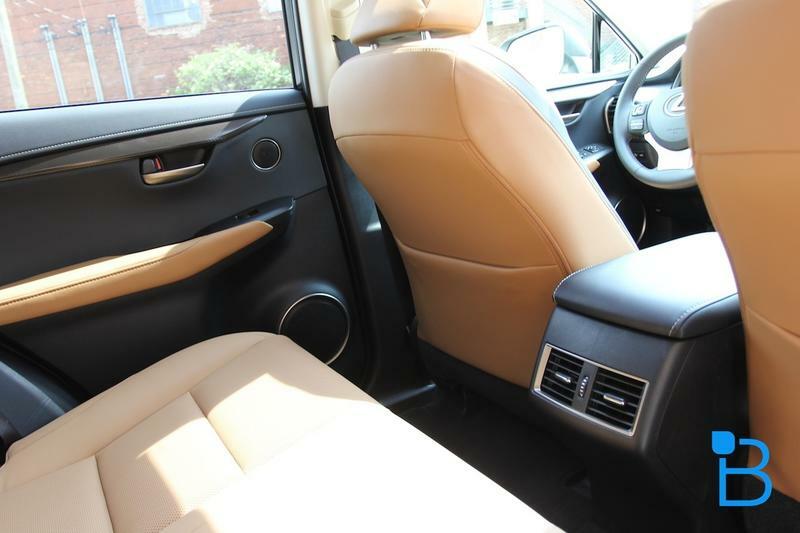 Normal kicks on your normal drive mode, obviously, and feels like you are driving most gas-powered vehicles. 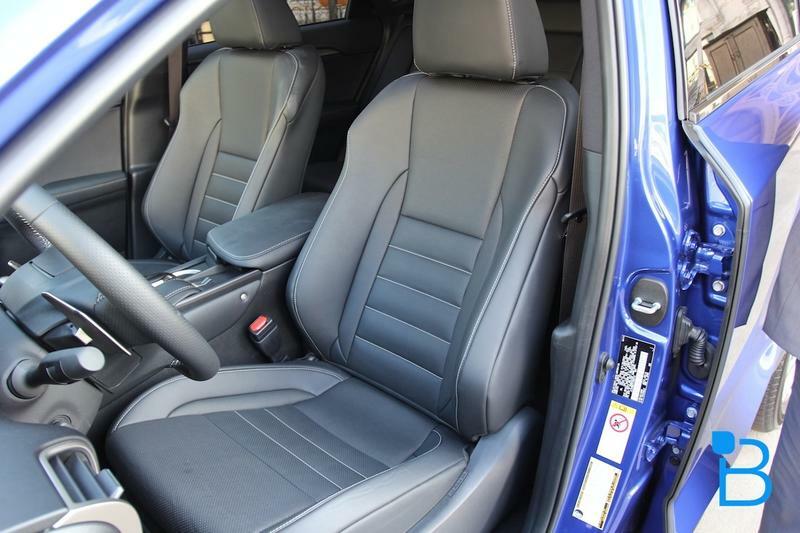 Driving in eco forces the car to drive on the electric motor if it is so charged (from the regen system) to do so. Electronically Controlled Brake-Regeneration system (ECB-R) works in conjunction with the hydraulic and braking system to maximize recover as much as energy as possible, because it is after a hybrid vehicle. 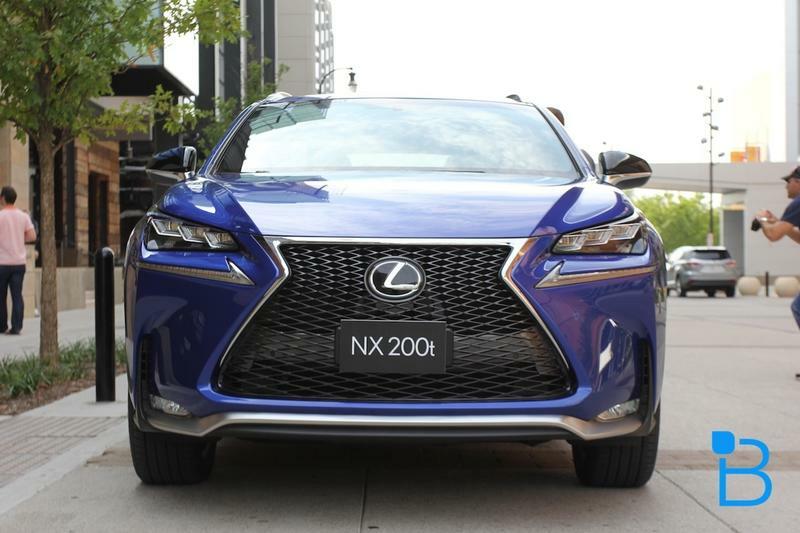 The NX 200t features a turbocharged 2.0 liter 4-cylinder engine, an engine that was made specifically for the NX and not borrowed from another platform, features Lexus's first gasoline direct-injected turbocharged engine. 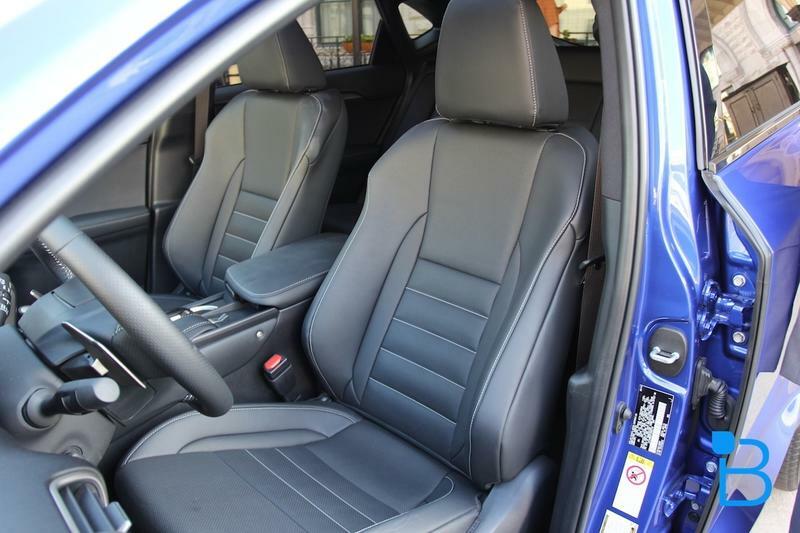 It is designed to deliver torque more effectively at lower speeds. 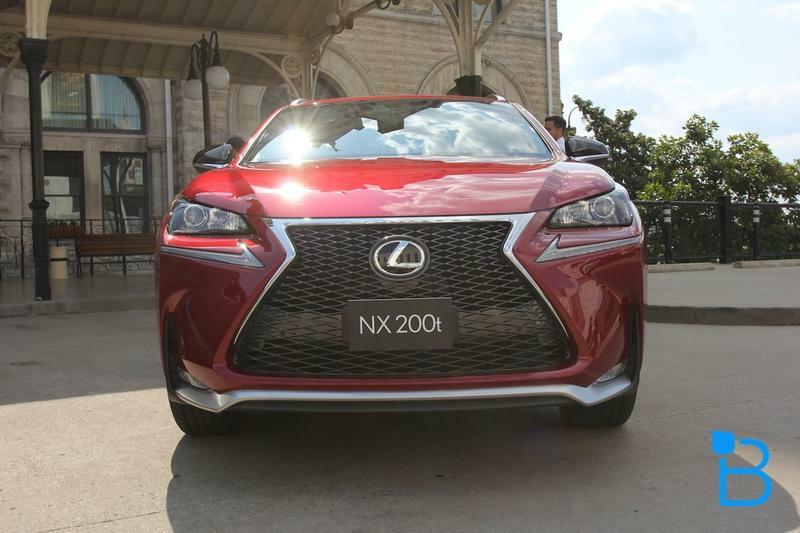 The NX 200t puts out 235 horsepower @ 4,800-5,600 rpm (175 kW, 238 ps); 258 lb.-ft. of torque @ 1,650-4,000 rpm (350 Nm, 357 kg-m). 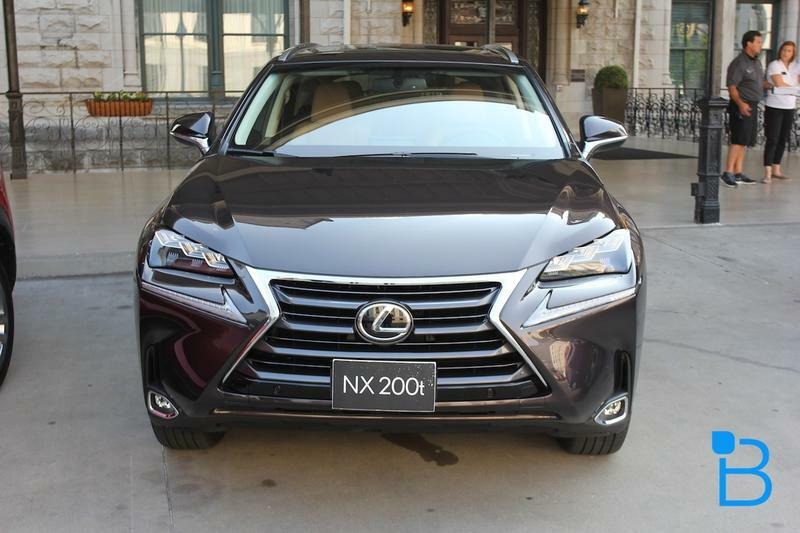 While the 300h is a fine car, the NX 200t has the extra pep and torque that just make it so much more fun to drive. 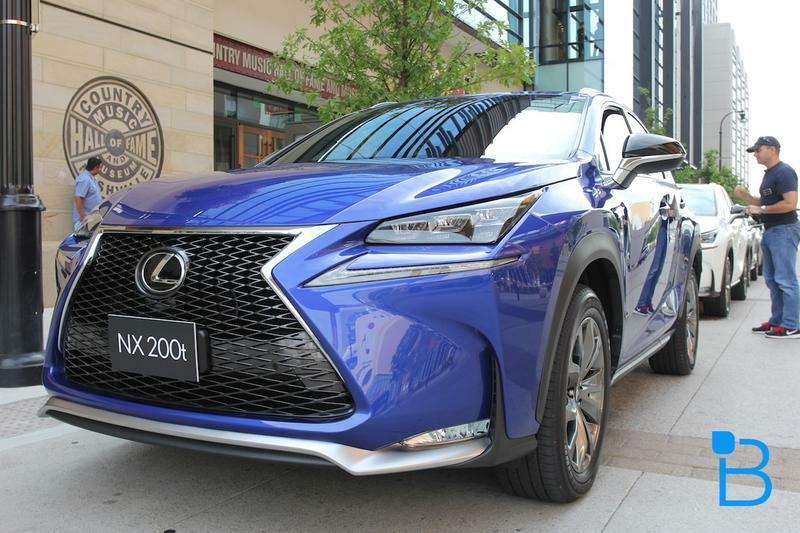 The NX 300h on the other hand puts out 154 hp @ 5700 rpm (115 kW, 156 ps); torque: 152 lb.-ft. @ 4,400-4,900 rpm (206 Nm, 210 kg-m); total system horsepower = 194 hp (145 kW, 197 ps). 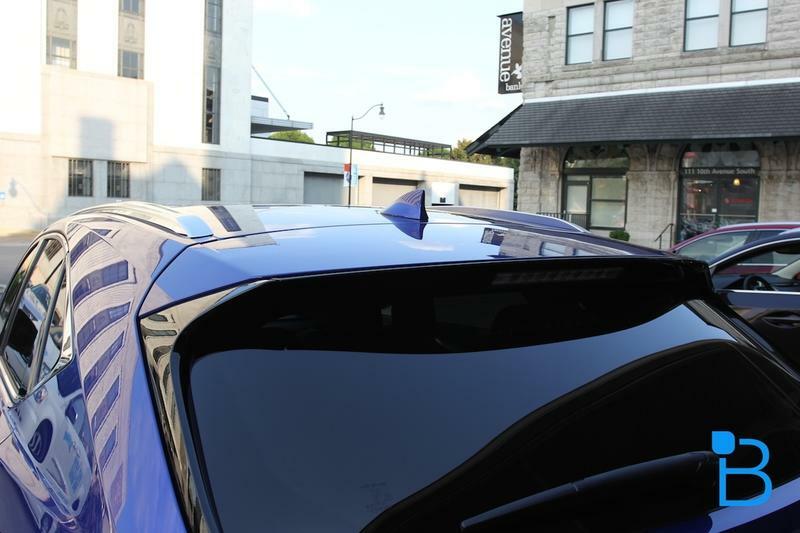 I think at the end of the day between these two cars you're going to see a tad more performance in the 200t, but it doesn't mean the 300h can't hang on for a nice ride. 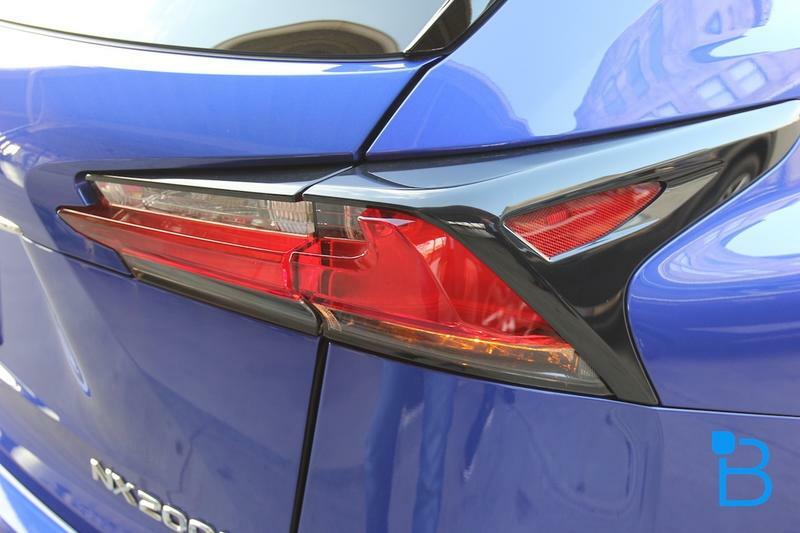 The Lexus engineers did a pretty stellar job of maximizing the hybrid engine to delivery performance and efficiency in one nice neat package. 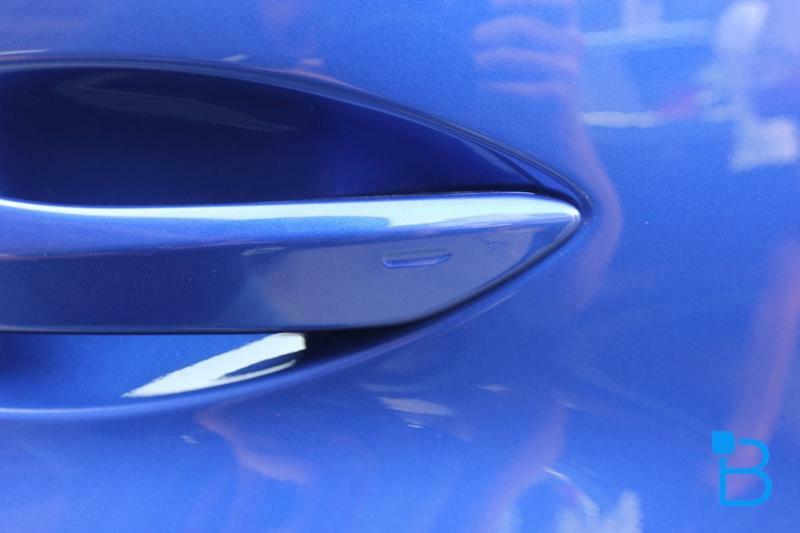 Dynamic Radar Cruise Control has quickly become my favorite feature on any of these new cars. 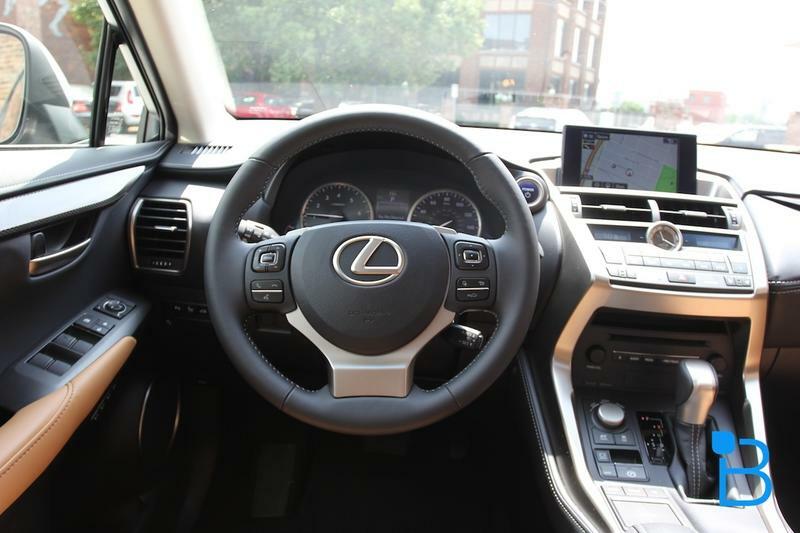 And the Lexus version is as responsive as any other system I've had the pleasure of testing. 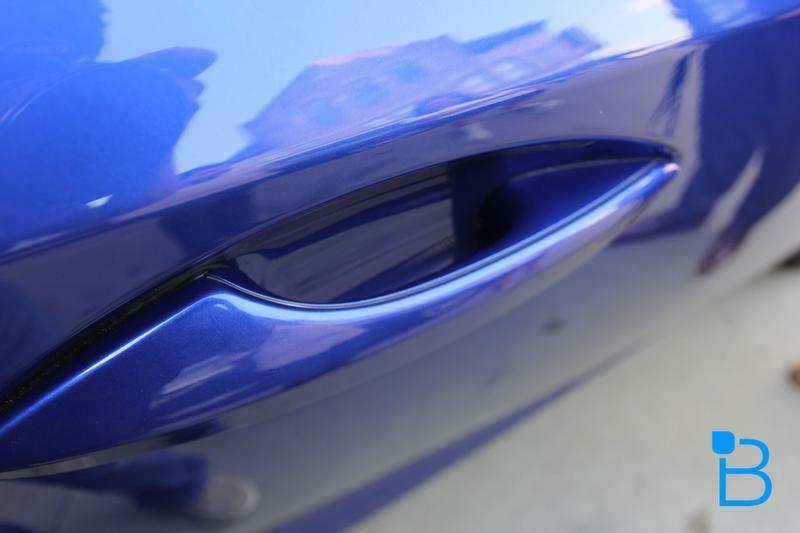 The DRCC maintains the proper distance between cars, by accelerating and decelerating in relation to the vehicle in front, even bringing the car to a complete stop. 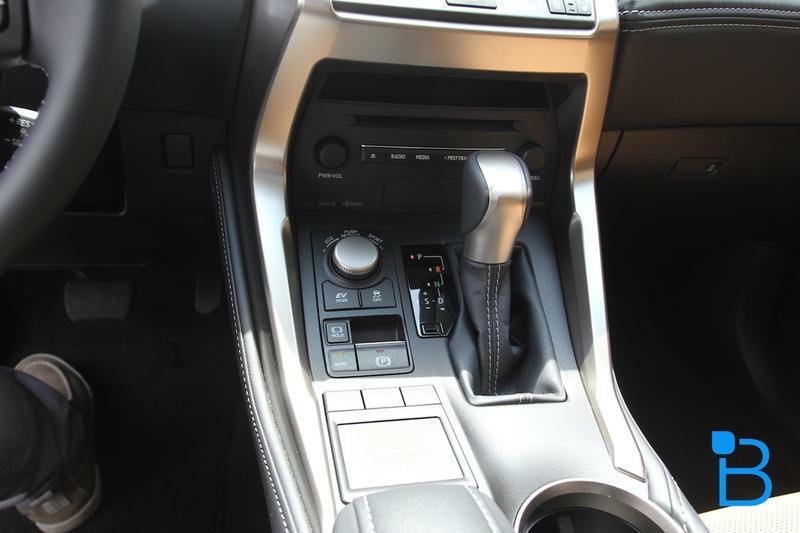 Though it does not automatically start up from a complete stop, you can re-enable it by tapping "Resume" or the pressing accelerator pedal to resume movement. 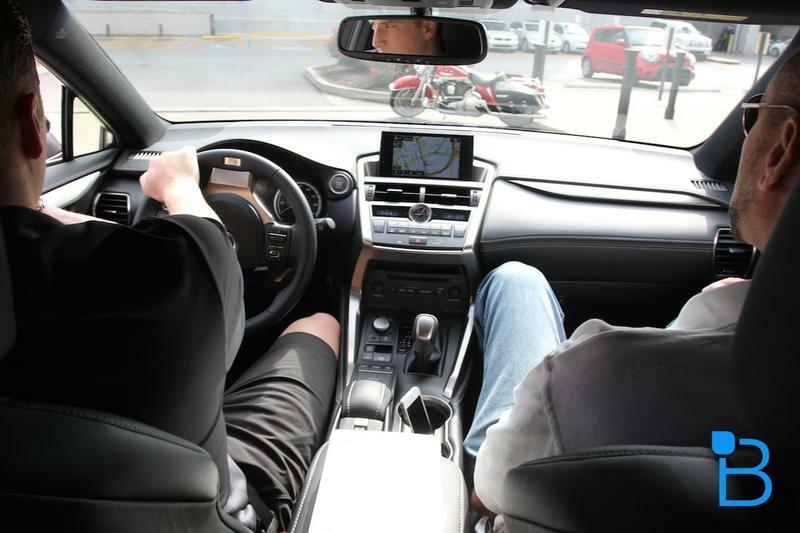 The Electronic Control Unit will analyze distance while the car is in motion and alert the driver in the event of a possible collision, if that doesn't happen the ECU will activate the pre-collision brakes. 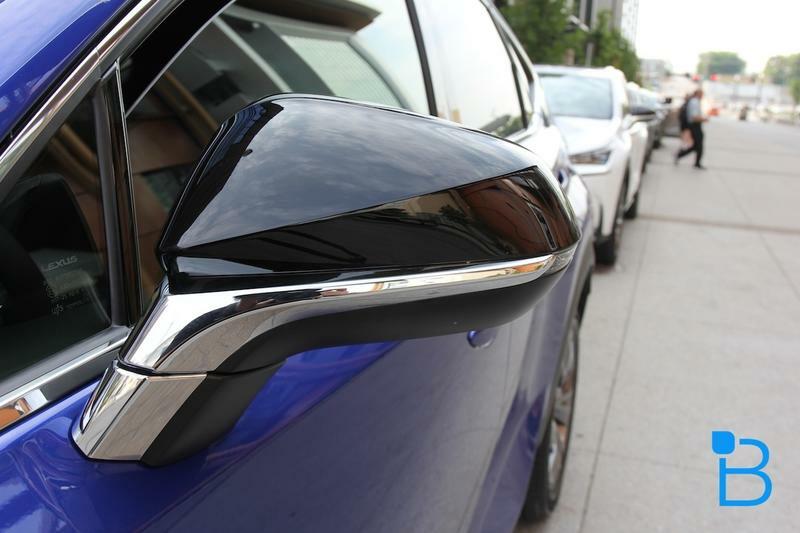 The NX also offers a bunch of other safety features we've come to expect in this price category, lane departure warning, blind spot monitoring, and even rear cross-traffic alerts (for those moments when a car speeds by as you're backing out of that tricky parking lot). 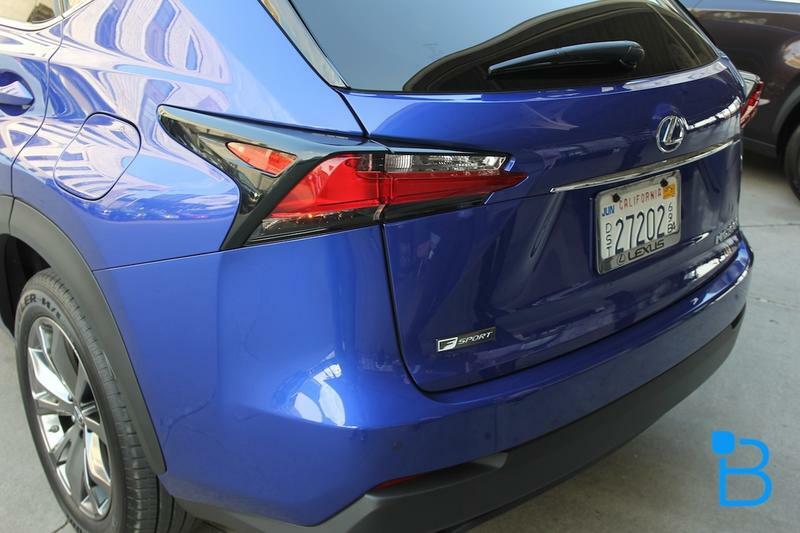 I was really pleasantly surprised to see Lexus take bolder steps in its design. 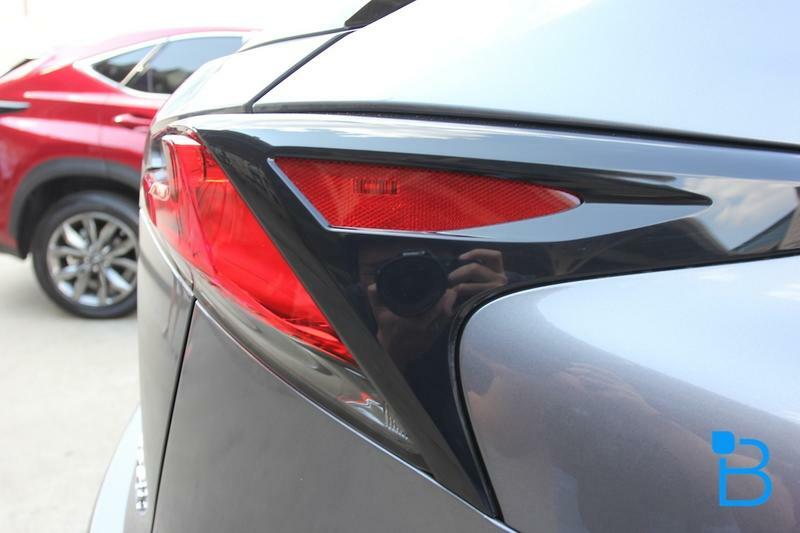 There's something to be said for its classic design cues, though these new design elements help the brand appeal to more youthful buyers. 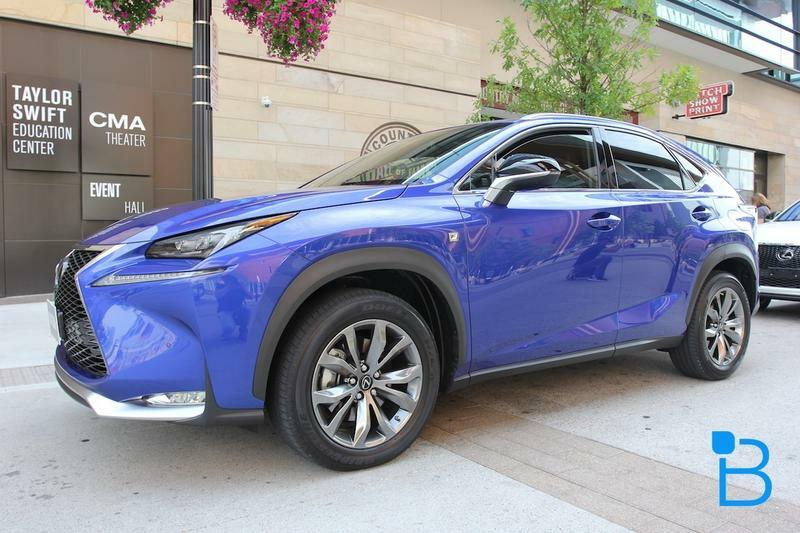 The NX is a small SUV that acts big. That's a compliment. I can't tell you how many cars I've gotten into that look big on the outside only to disappoint when you go stretch out your legs. 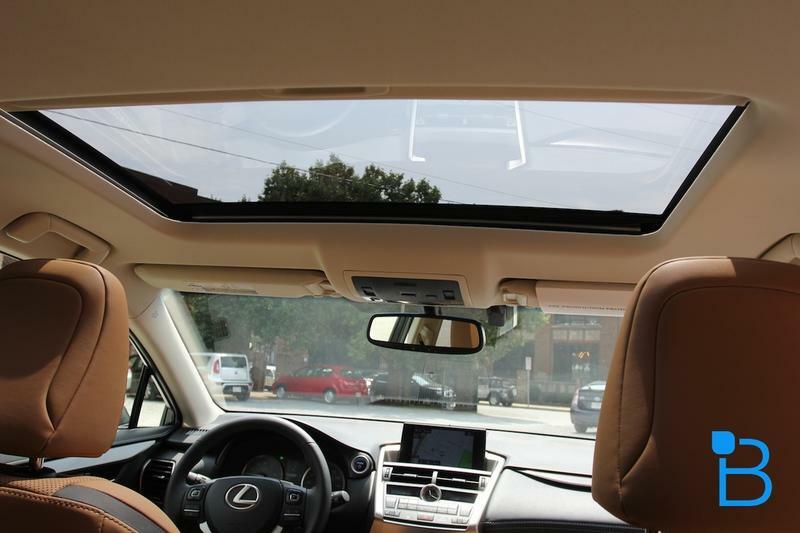 The Lexus NX is a truly efficient vehicle, not just as it pertains to fuel consumption, but in how usable the space is. 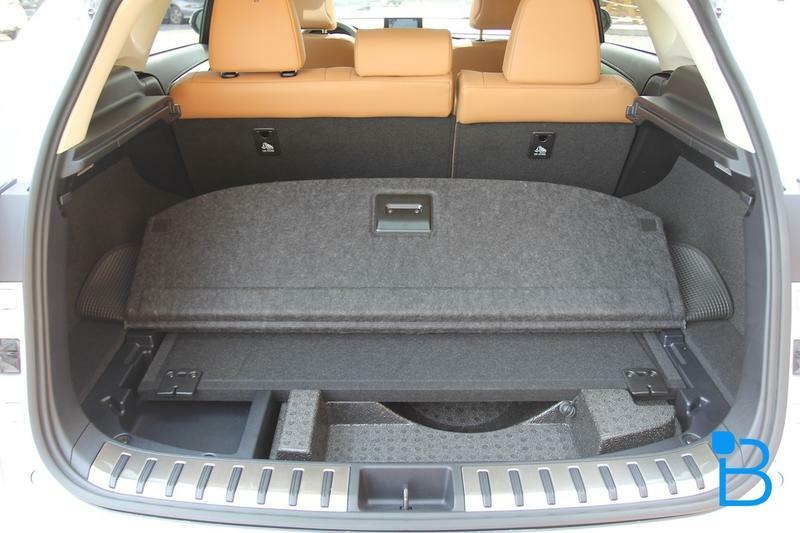 Lexus claims you can store 4 golf bags in the rear, I probably won't be hauling too many clubs in the back, but I can probably make a quick to the hardware store and grab whatever weekend project I'm working on and still have room to grab some groceries. 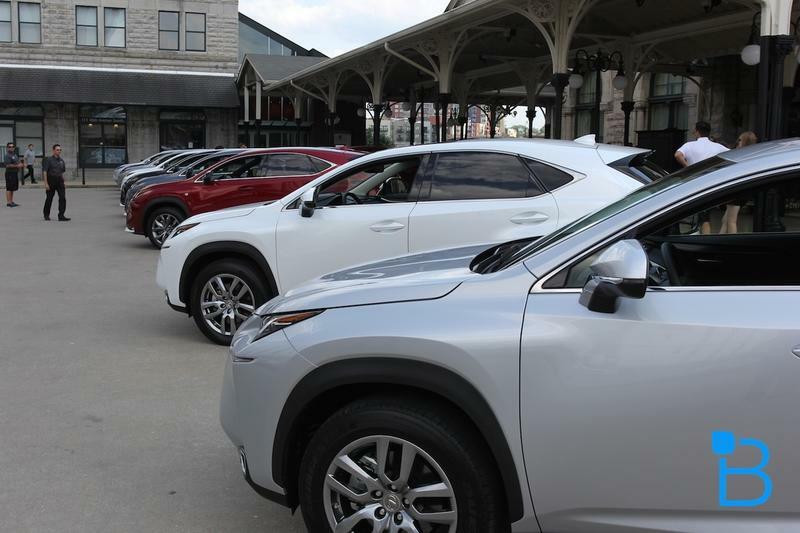 The NX is a versatile car without the guilt of a giant gas-guzzling SUV all with a sticker price starting at just under $30,000.